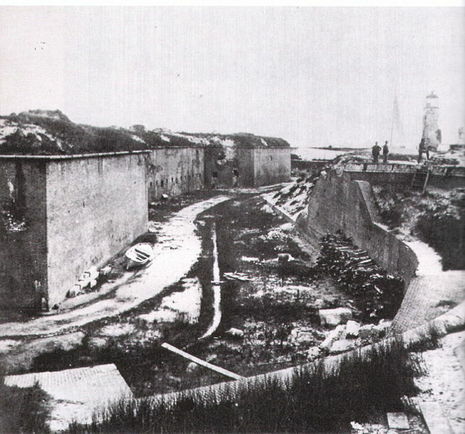 On August 23, 1864, the Union navy captured Fort Morgan, Alabama, breaking the Confederate dominance of the ports of the Gulf of Mexico. As the Union fleet of four ironclad and fourteen wooden ships sailed into the channel on August 5, one of the lead ships, the Tecumseh, hit a mine, at the time known as a "torpedo." In reply to the warning, "Torpedoes ahead!" 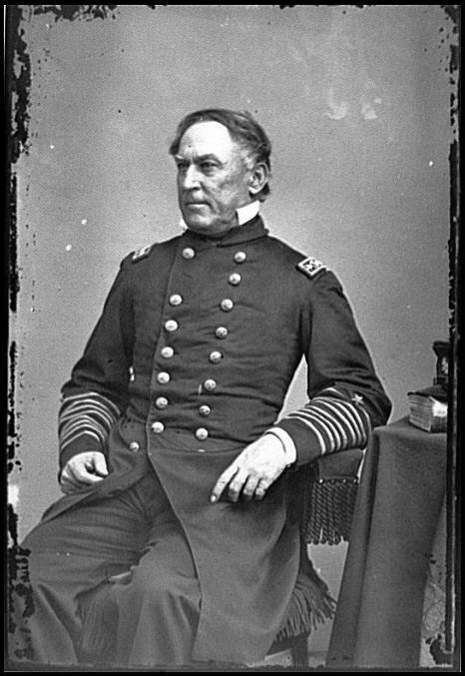 given by the forward ships, commander Admiral David Farragut called out, "Damn the torpedoes!" and, taking the lead with his flagship the Hartford, sailed over the double row of mines and into Mobile Bay. Fort Morgan is a historic fort at the mouth of Mobile Bay, Alabama, United States. Some regard it as "one of the finest examples of military architecture in the New World" The post was named in honor of Revolutionary War hero Daniel Morgan. Construction was completed in 1834 and it received its first garrison in March of the same year. Fort Morgan is at the tip of Mobile Point at the western terminus of State Route 180 (Alabama). It and Dauphin Island, on which Fort Gaines is situated, enclose Mobile Bay. The Alabama Historical Commission maintains the site. Today In History: Damn the torpedoes! Full speed ahead!